We’re continuing our Best Bars in Beijing series, as you remember our last article was Best Hotel Bars in Beijing now it’s time the for Best Hutong Bars in Beijing. Beijing is the heart of China with it’s 5000 year history and unique culture. This city will make you either fall in love with it at first sight or hate it from first smog, but it never leaves anyone indifferent. Call us crazy but we fell in love and can never get enough of everything Beijing has to offer. Even after living here for decades we can always find something new to discover. Please don’t get mistaken and think that Beijing is only hutongs and nothing more. Beijing is a big, modern city with a lot of interesting architecture but the hutongs are really what make this metropolis unique. You will be amazed how on one side of the street there are huge, modern offices, while on the other, there are these famous narrow alleyways. Hutongs have a special feel to them and it is always interesting to wander around and very easy to get lost in them. They are very popular among foreigners here because of the atmosphere and, of course, because they are home to some of the best bars in the city. 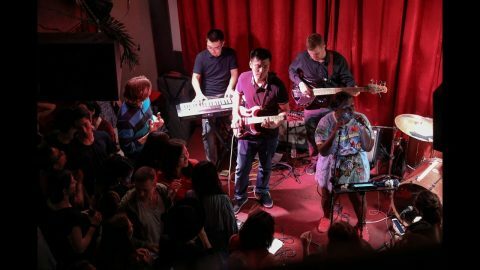 Some of the bars we’ve mentioned before when we shared the Best Deals in Beijing and some we mentioned when talked about Beijing’s Hidden Gems now it’s time to put all of them together and get best out of the best! Modernista is a favourite bar for many expats. It deserved its spot due to their great cocktails that won’t break the bank, delicious food and amazing bands they invite to play, nightly. If that didn’t convince you enough, then look at their amazing design. The bar is sound proofed, and has hidden room where all the fun starts. They also have weekly events like salsa classes every Monday, Drink and Draw every Tuesday and Swing Dance classes every Wednesday. Not a fan of dancing? 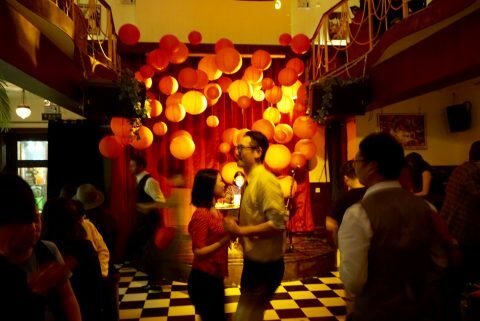 WE LOVE – Maybe the Sunday Jazz sessions are more up your street? When you walk down the hutong street outside you won’t hear a thing due to the sound proofing. Even once you enter the place you might think it’s just a normal restaurant with small bar, but if you venture further inside you’ll be surprised at the actual size of the place and what it has to offer. 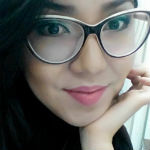 A real speak-easy feel! This hutong bar couldn’t be more special. Firstly it’s location in a maze-like set of alleys is unique in itself, but it’s also Beijing’s first and only Baijiu bar so far. Baijiu (Chinese: 白酒; pinyin: báijiǔ), also known as shaojiu, is a category of at least a dozen Chinese liquors made from grain. Báijiǔ literally means “white (clear) alcohol” or liquor. The bar is located in a traditional Chinese neighbourhood and offers cocktails based on this traditional Chinese alcohol. We believe there is nothing more exciting than coming to Beijing and trying it yourself. Mai bar is often mistaken with Mei bar which is located in Rosewood Hotel. Though the names are similar, Mai bar is a very different experience to Mei. Mai bar is located in Hutongs and the owner of the bar wanted to give his customers a home like feel when visiting the place. That’s why he came up with the name ‘Mai’ as it’s pronounced similar to the word ‘my’. The bar specialises in cocktails and trust us they are well priced and well made. You want to escape the feeling of a big busy city? Want to plan a fun holiday on the beach? Or maybe you just want to dream about being at a beach bar? 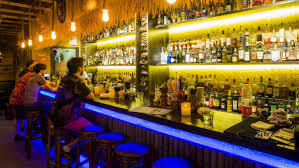 Tiki bungalow will help you feel like you’re on a beach vacation with it’s cocktails served with fresh fruits and a selection of nice rums. If you want to experience the best of both worlds, a mix of being in a very Chinese neighbourhood with feeling like you’re on a summer holiday, then welcome to Tiki Bungalow! 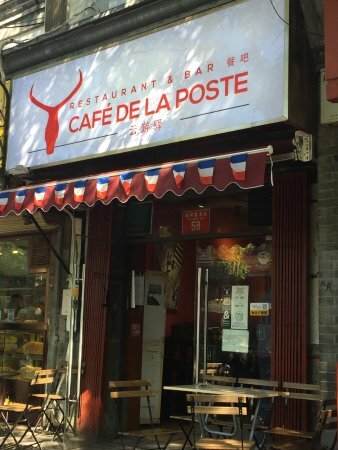 Lots of people might respond to us that Café De La Poste is not exactly in a hutong, and whilst we agree with that, it is a great bar located in the Hutong area, just on the main road. You can take a cab directly outside the bar’s front door. Located near Beixinqiao metro station, it couldn’t be placed better for weaving in and out of hutongs either before, or after a visit here. So what does Café De La Poste have to offer? Their variety of foods is pretty great, plus they have great wine and a brilliant atmosphere which often spills into the streets of Beijing. Missed France while being in Beijing? Look no further! This is a great choice whether early or late in the evening and it’s ever so popular with expats throughout Beijing.